The fantastic inflatable obstacle courses can excite kids more than others in an outdoor summer party or event. It is an inflatable, colorful entertainment center that is enjoyed especially by kids and by people of all ages. These play areas are often used to provide several hours of outdoor entertainment for children. They are also an in-demand fixture at corporate events and other types of celebrations where people have fun overcoming the soft obstacles during healthy, friendly and sometimes silly competitions. Also, there are no sharp edges or hard surfaces, meaning your kids can have fun and stay safe, both at the same time! But, with so many options, choosing the right inflatable obstacle course for your event can seem daunting. So you should follow this article so that you get the right inflatable obstacle course. 1, Choosing the theme of the event or party is probably one of the first things you should consider when selecting an inflatable obstacle course. You must try to match the design and construction of the inflatable with the theme of your event or party. For example, a princess themed party should have soft pastel colors and girly activities and designs; and a sports themed party should have sports related inflatable obstacle courses. If the design of the course doesn't go with the theme, it can seem uninviting and disinteresting for the kids. 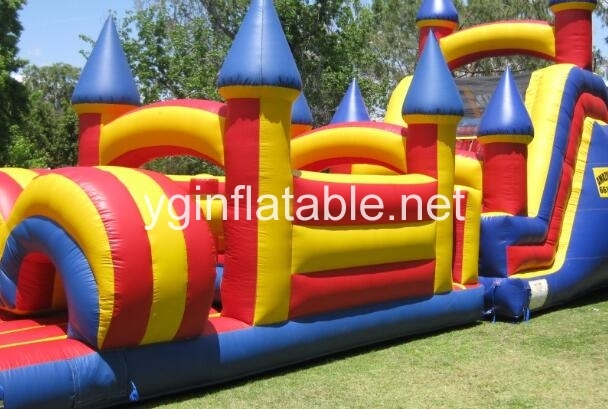 2, You should consider the age group of the children, there is nothing worse than having an inflatable obstacle course that doesn't suit the age group of the children attending the party. You must always check with the designer for the appropriate age-group of children. The obstacles in the course must be suitable for the height and size of the children. This can go a long way in ensuring the safety of the children while also ensuring that the course is neither too hard nor too easy for them. 3, And the size of the setup area must be considered. 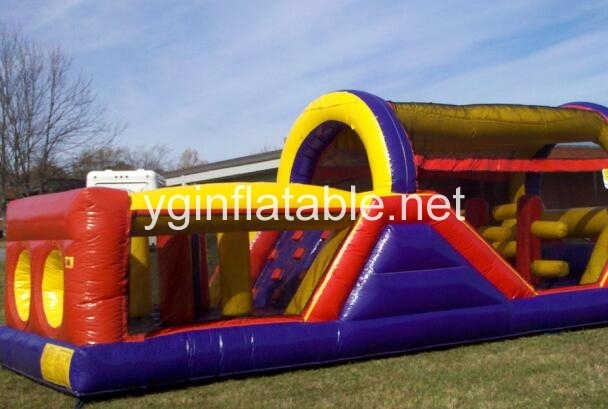 You must determine what is the size of the inflatable obstacle course and if it is suitable for the size of the setup location. Very big inflatable obstacle courses can leave the area congested and very small ones can make the area seem rather empty. 4, It is important to wet/dry a course. You should determine if the course will contain wet or dry obstacles and check if it goes with the theme. Some inflatable obstacle courses are especially designed for pool use, others are not. You must also check if a wet course would be suitable for the age group of the children you are considering. 5, You also need to consider the budget. All the above criteria pretty much revolve around your budget. You must clearly research how much inflatable obstacle courses cost in the current market and also how much you wish to spend on one. Remember, an inflatable obstacle course may be the highlight of your party, but it's probably not the sole attraction. 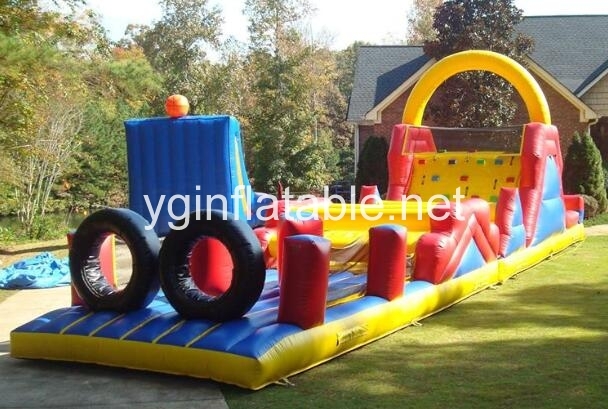 Your budget for the inflatable obstacle courses must only be planned after setting aside adequate money for all the other aspects of the party.